Welcome to the all new Red Roof PLUS+ Chicago – Schaumburg, IL! With our newly renovated property, we truly are adding more WOW to your stay. Our pet-friendly Red Roof features a coin laundry facility, business center, fitness center, in-room safes, an elevator, free WiFi, flat screen TVs and extended cable television with HBO. Now offering Red Roof’s new Order Inn program, where guests can order delicious food for in-room delivery. Free coffee and tea available in the lobby. Book your stay with us! FireZone brings fun and education to your kids in a safe and engaging environment. Don’t keep your kids in the car too long! Be only 5.2 miles away! Not only are there over 3 million LEGO bricks to build from, explore over 9 different attractions, 2 rides and a 4D movie theater at the LEGOLAND Discovery Center Chicago. Only 7.5 miles away. Sears Centre (3 mi. ): home to the NEW Windy City Bulls and events like Cirque duSoleil Crystal – A Breakthrough Ice Experience on Nov 19th. Allstate Arena (20 mi.) is home to DePaul Blue Demons, Chicago Wolves, and year round events. Attending a meeting, conference, trade-show or convention at the Schaumburg Convention Center (8.6 mi.)? Stay close by! Visiting for your best friend(s) wedding, a birthday party or Corporate Conference at the Stonegate Conference and Banquet Center (0.5 mi. ), The Seville Banquet & Conference Center (3.2 mi. ), or Pearl Banquets & Conference Center by India House (7.2 mi.)? We are in the perfect location. Spring Valley Nature Center is free and open to the public. Get lost in nature for a few hours! Spring Valley is made up of fields, forests, marshes and streams and is less than 7 miles away. Enjoy a night of slots & table games at the Grand Victoria Casino. The Casino is opendaily from 8:30 am-6:30 am with the area’s richest giveaways and promotions. Only 9 miles away. Arlington Park International Racecourse is 10 mi away! Don’t miss out on great events that happen year round. Check the calendar before visiting. An experience like you’ve never had before, bring birthday parties, bacheloretteparties, or just make up a party as an excuse to come to Medieval Times Dinner and Tournament Chicago (4.0 miles). Nearby food options include The Assembly, Chili’s, Lone Star Steakhouse, Macaroni Grill, McDonald’s, and a TGI Fridays right around the corner! But if you’re looking for an out-of-this-time experience, take a look at the Medieval Times Dinner and Tournament only 4.0 miles away. The Schaumburg Metra Station is only 5.3 miles away from Red Roof PLUS+ Chicago – Schaumburg. Get to where you need to be fast! And avoid all of the street traffic. 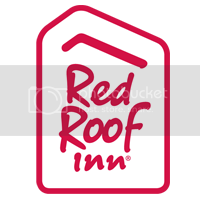 Red Roof PLUS+ Chicago – Schaumburg has an airport under 17 miles away! If you’re planning to arrive or take off from the Chicago O’Hare International Airport, our Red Roof property is close by! With our Red Roof property, you have options for shopping all within an 8-mileradius. Barrington Square Mall Shopping Center is only a half-mile away, Woodfield Shopping Center (7.8 miles) is a little further out, and the Arboretum of South Barrington shopping mall is under 3 miles away! There are many local Corporations close to our hotel. Arriving for a meeting atSiemens Corporate Offices (1.8 mi), St. Alexius or Alexian Brothers Health Systems, Mori Seiki Corporation (1.8 mi), GE Capital Services, Claire’s Distribution Center (1.4 mi), AT&T Corporate Center (1.6 mi), or Sears Holdings Corporate Offices (5.4 mi)? Visiting someone on a college campus? DePaul University – Naperville is within 35 miles away from the Red Roof PLUS+ Chicago – Schaumburg property, while Roosevelt University – Schaumburg is only 8.8 miles away!